The last ten days: work + school + life = no crafting therefore no blogging. Today: lots of free time = crafting and blogging. Yea! So I sewed up two new pouches - one for me and one for a friend who is going on a little vacation. Could not resist Going Coastal fabric in a local fabric store (M&L) yesterday. Wanted to make myself up a new pouch and walked around and around looking for the perfect fabric. Could not believe it when I spied this as I have almost bought it online many times. 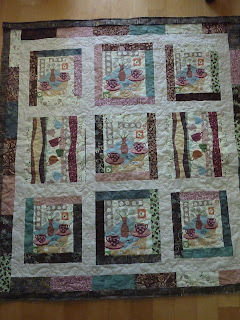 Lining is Hullabaloo by Urban Chicks from the Dots Swap hosted by Debbie from A Quilter's Table earlier this year. Love it Debbie! T-Shirt Quilt - earlier this week I was ready to start stitching up the t-shirt quilt. The t-shirt blocks were squared up and ready to go and I decided to go through the solid Kona Light Grey fabric just to make sure those were squared up as well. Well....they were NOT. I had cut the Kona squares while I was sitting on the floor - big mistake. (If you are a Stash Resolution Podcast listener - my title is respectfully taken from one of her segments in her show.) All of the Kona squares are at least 1/2 inch off. What the heck was I doing that night while cutting? Must have been a rare night that I was actually watching what was on TV. That project is back on hold until I have time to go buy more fabric. Quilt for my best bud - Minimal cutting and no sewing. Her birthday is coming soon so this needs to be first on my list for next week. 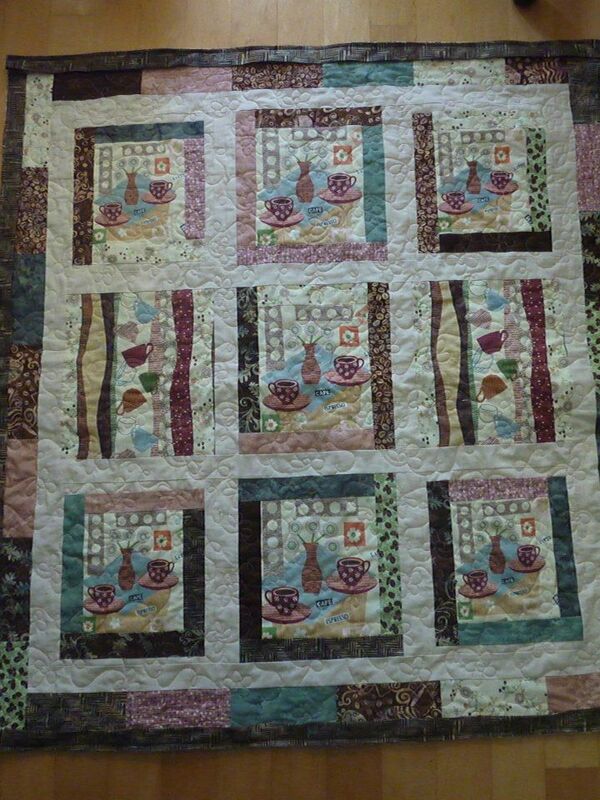 Latte Quilt update: My quilt top has now been quilted by Nena of Nena's Quilt Shack and is now in Houston, TX! I pulled this photo off the FB account Nena. You can see the binding she sewed on the front. I'm so anxious to see photos of the Latte Quilt up in the Hoffman Fabric's booth at Quilt Market. Please visit Lee at Freshly Pieced to see what others are working on this week. Have a super fun Wednesday evening - wherever you are. OH MY! How awful about the KONA Grey - so sorry, Susan!! ;-( Guess you have squares cut for another project, huh?? SO GLAD that you enjoyed using the Hullabaloo though! Yay. I loved that when I bought it! Your pouches are just darling! And Latte - continued excitement!! It looks fantastic! 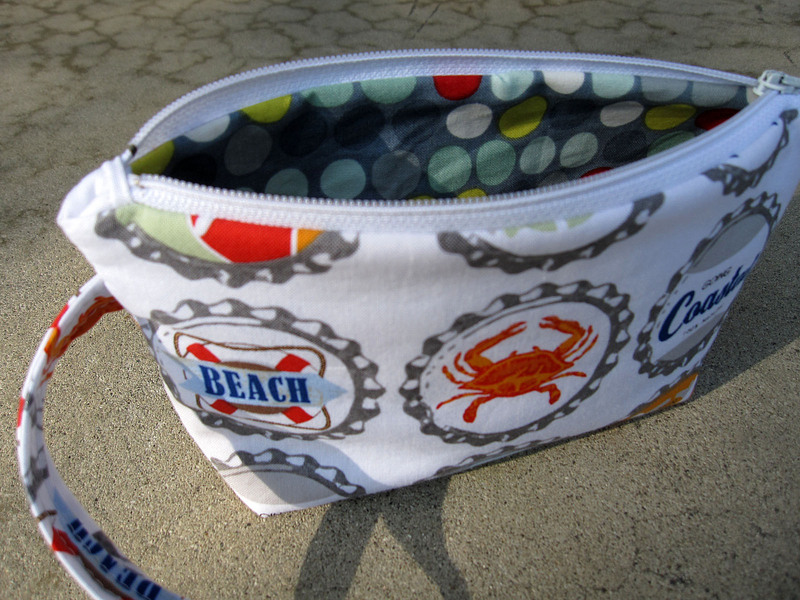 cute pouches :) I *love* Going Coastal - the dots for the lining pair so well with the bottle caps. I'm going to Houston for Quilt Market. I leave tomorrow. I will look for your quilt and get a picture of it for you!!! Very exciting stuff girl. 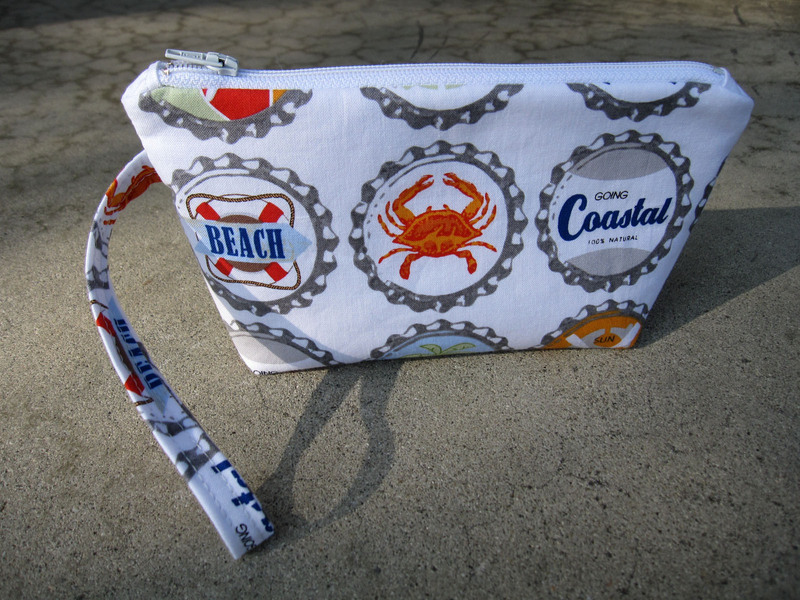 LOVE that coastal fabric!! Great bags and amazing quilt! Can't wait to see more pictures of it!! 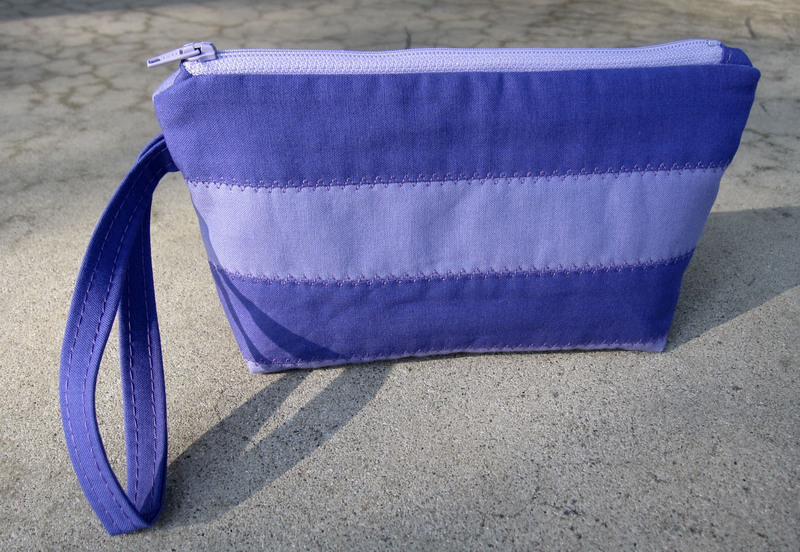 Lovely little pouches, love that fabric. Your quilt is incredible! Congrats on the Market commission! You are a celebrity now! Congratulations on the Lattee Quilt!!! Wow! Way to go, Susan! There is a sign in Creative Sewing Center (San Antonio, TX)- In quilting, there are no mistakes; only ways to be more creative! Use the blocks for another project! You are creative so I am sure you will come up with a good use for them! The little pouches are cute!